View Cart “Walk Off the Weight” has been added to your cart. 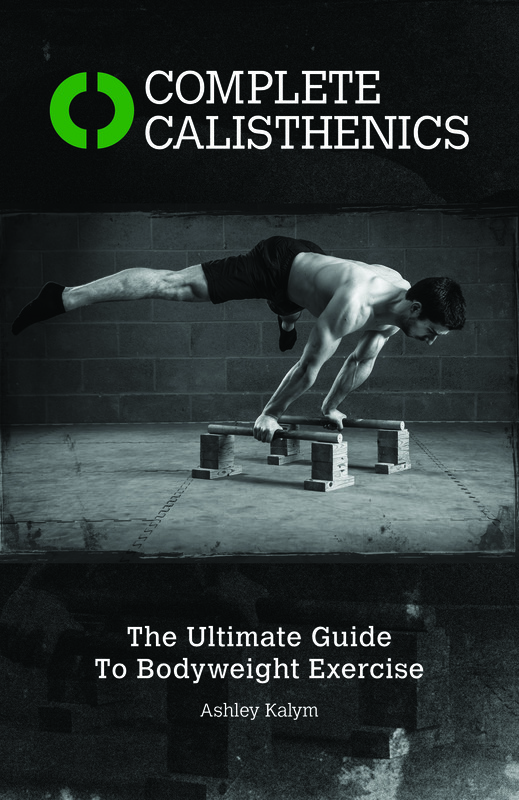 Complete Calisthenics is the most detailed and comprehensive bodyweight exercise manual available on the market today. It is for anyone; male or female, beginner or advanced who is interested in building complete strength and taking their workouts and themselves to the next level. SKU: 9781905367542. Category: Health & Fitness. Tags: Ashley Kalym, bodyweight exercise, calisthenics, diet plan, exercise plan. Using solely their bodyweight for resistance and relying on minimal equipment, readers will learn how to perform a range of exercises, such as push-ups, pull-ups, core exercises, and lower body exercises. When you read Complete Calisthenics and do the exercises you will develop the strongest and most capable physique ever. Step-by-step instructions with over 500 photographs to guide you through the exercises. Nutritional advice with simple-to-follow diet plans and sample diets. Program creation to suit your needs. Ashley Kalym got the fitness bug at a very young age. Having been involved in various physical disciplines and activities, it was whilst training in the Royal Marine Commandos that Ashley was introduced to the value of bodyweight exercise. A long-standing, fulfilling and active career in calisthenics and bodyweight training has followed. Complete Calisthenics gives the reader the benefit of Ashley’s years of research, training and personal experience, all under one cover.